We have played every version of Where in the World Is Carmen Sandiego and cannot believe this was never a case: Someone has stolen the world’s most expensive cheese slicer!!! Superfluous exclamation points aside, the slicer is actually very valuable, $26,000 kind of valuable. 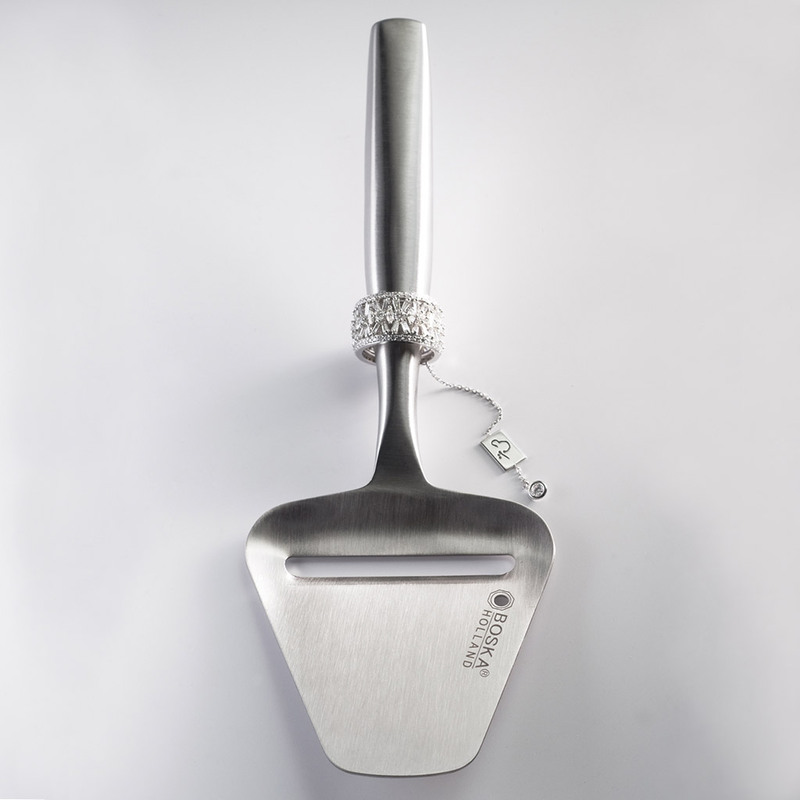 It is a collaboration between Boska (maker of fine Dutch cheese accessories for over a century) and Argentine jewelry designer Rodrigo Otazu, who encrusted the slicer with 220 diamonds. Until Saturday, Boska housed the slicer at the Amsterdam Cheese Museum where it apparently did not have enough security. According to Dutch paper Het Parool, security cameras caught two thieves breaking into a locked cabinet in the museum’s basement; the duo remain at large. It seems impossible, but the story does get better. This may be the first case of larceny with its own hashtag. The museum and Boska are soliciting any information about the missing slicer via #findthatslicer. Legitimate tipsters could earn the company's second most expensive product as a reward: the world’s largest commercially available fondue set. We remain confident the authorities will recover the slicer. The black market for selling cheese slicers just doesn’t seem that vibrant. But in case they don’t here are some cheesy dishes that don’t require any slicing. And although the current indications from Boska are that this is totally real, we'll keep you updated in case it turns out to be a hoax (that hashtag just seems too perfect).